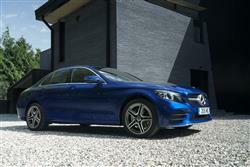 This much improved version of the fourth generation Mercedes C-Class features a package of significant enhancements. The exterior revisions are subtle but inside there are important changes, including the option of a fully-digital instrument cluster. As previously, the core range is built around saloon and estate models and there are fresh entry-level petrol and diesel engine options. Plus the driving experience has been enhanced with the optional application of Mercedes' latest autonomous driving technology. 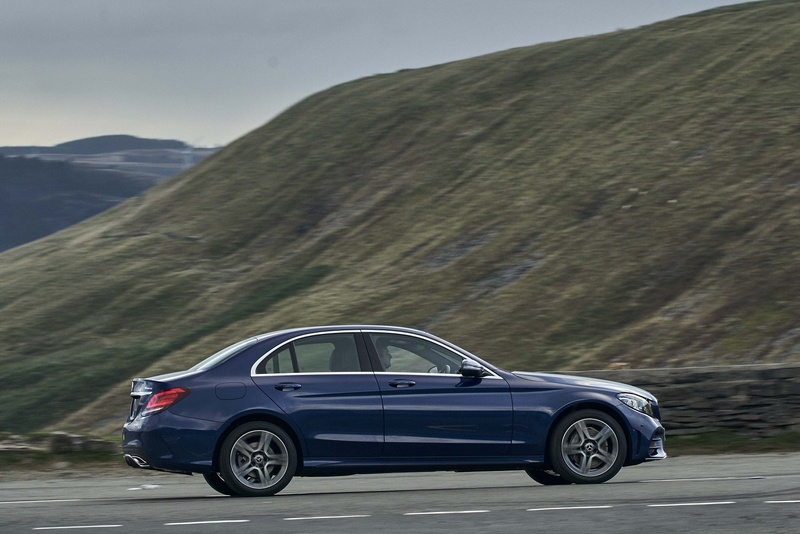 This fourth generation '205' model series C-Class has delivered a stronger proposition with a greater focus than was the case with its predecessors. That's been necessary for two reasons. First, stronger competition in the mid-sized premium badged executive saloon and estate segment, not only from the usual suspects, BMW's 3 Series and Audi's A4, but also from cars like the Jaguar XE and the Lexus IS. 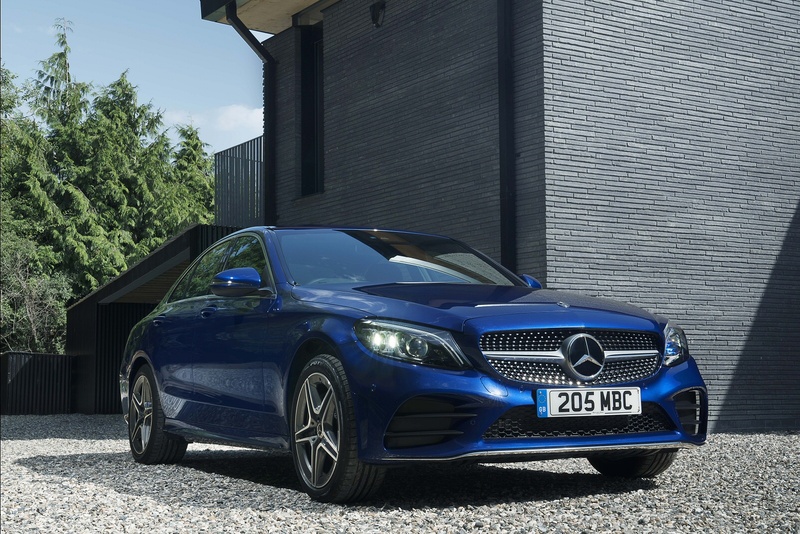 Secondly, there's been the fact that Mercedes buyers have had an alternative to this car in the shape of the brand's similarly priced and comparably sized CLA four-door coupe. Since this MK4 model's original launch at the end of 2013, Mercedes has gradually broadened out the range, first with fire-breathing Mercedes-AMG performance derivatives, then with sleek Coupe and Cabriolet body styles. By early 2018 though, it was clear that a little more remedial work would be needed to keep this car competitive with the best of the opposition, hence the introduction of the heavily revised version we're going to look at here. 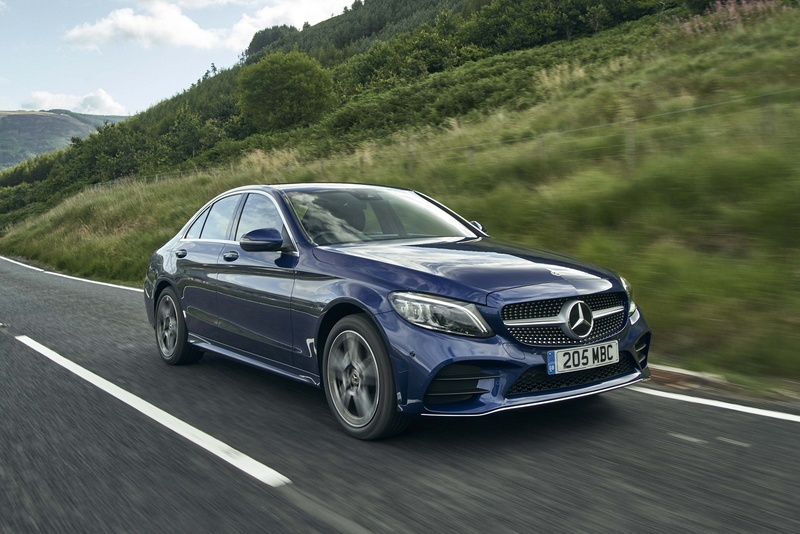 The C-Class has for some time been, and will continue to be, a car with a clear focus on comfort and refinement - at least in its mainstream guises anyway. It was the first model in this class to offer the option of air suspension, though most buyers stick with the standard steel springs. As before, across the range there's a standard 'DYNAMIC SELECT' driving modes system - and you can add to that with optional 'DYNAMIC BODY CONTROL' adaptive damping. All models come as standard with 9G-Tronic automatic transmssion, which now features nine speeds and buyers certainly aren't short of engine options, with most still likely to want a diesel. 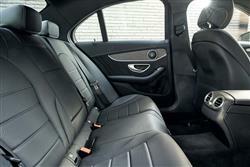 There's a base 160hp 1.5-litre unit in the C200d. 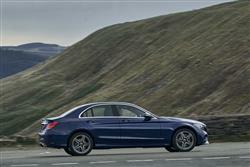 But most buyers opt for the 2.0-litre 194hp unit on offer in the C220d variant, which offers the option of 4MATIC 4WD. The entry-level petrol unit in the base C180 is a 1.6-litre 156hp powerplant, but ideally you'd stretch to the more modern, much perkier 184hp 1.5-litre engine installed in the C200 which features the brand's latest 'EQ Boost' technology using a 48volt on-board network with a belt-driven starter/alternator. When accelerating, 'EQ Boost' system can assist the engine with an additional 14hp, bridging the brief moment until the turbocharger has built up its full charge pressure. 4MATIC 4WD is optional. Mercedes has also developed a 2.0-litre 258hp version of this petrol engine for the C300 derivative. Beyond that lie only the Mercedes-AMG high performance derivatives. 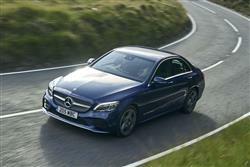 The first of these, the 3.0-litre V6 C43 4MATIC, now puts out 390hp, 23hp more than before. 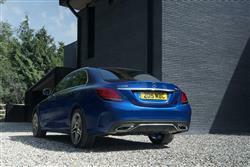 Beyond that lies only the V8 C63 AMG model, with a 4.0-litre V8 Biturbo engine offering either 476 or 510hp. You'd have to know the C-Class quite well - or be a Mercedes sales person - to immediately notice the exterior aesthetic changes made to this revised model. The design of the front and rear lights is defined by clear-lined contours. On both the saloon and the estate, the bumpers have been re-styled both front and rear and the sportier 'AMG Line'-trimmed models get a sleeker front apron and rear diffuser. Large wheels emphasise the rear and communicate a stylishly sporty character, while 'intelligent' Multi-Beam LED headlamps that adapt to toad conditions are now optional. 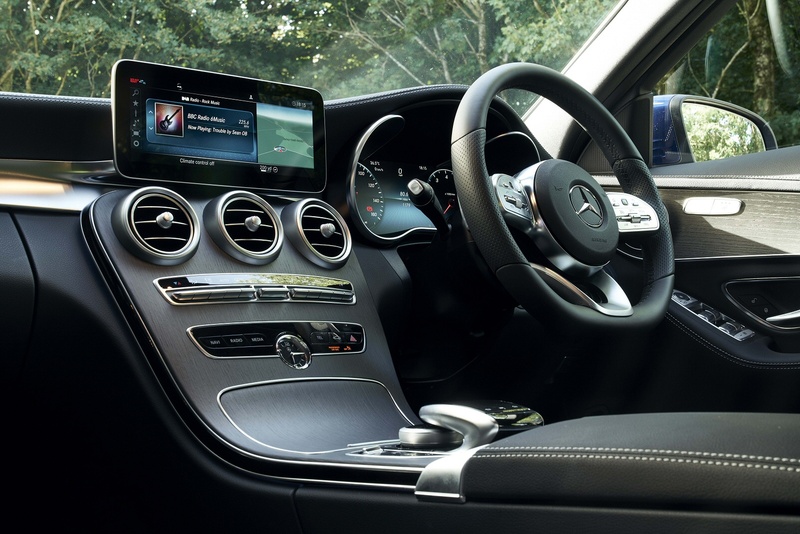 Inside, the alterations are more obvious, with the introduction - as an option - of the fully digital instrument display already familiar from the brand's E-Class and S-Class models, complete with touch-sensitive steering wheel buttons. This is complemented by now-larger centre console screens that can be either 7-inches or 10.25-inches in size, the latter format used for the top 'COMMAND' multi-media set-up that many customers will want. Otherwise, it's much as before, with a broad centre console swooping between the front occupants. 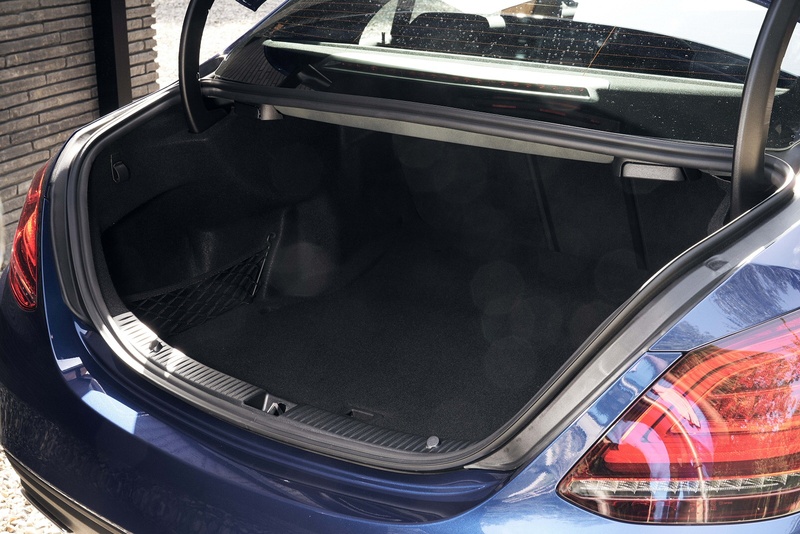 In the back, rear seats space isn't especially generous but there's a very class-competitive 480-litres of boot space too. With the estate, the figure's 490-litres. Prices haven't changed too much, as before sitting mainly in the £30,000 to £50,000 bracket. 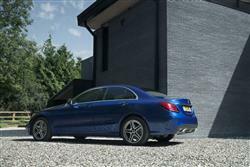 There are two main body styles, saloon and estate - plus coupe and cabriolet derivatives too. And for the four door and the station wagon, three trim levels, 'SE', 'Sport' and 'AMG Line' before you then get into the super-serious Mercedes-AMG C43 4MATIC and C63 high performance models. As for equipment, well that's more generous than it used to be. Media connectivity will be important to likely customers, so every C-Class comes as standard with an 'Audio 20' multimedia system featuring two USB ports, an SD card reader, Bluetooth connection and media interface. Many though will want to upgrade to the 10.25-inch 'COMAND Online' centre-dash screen that boasts fast 3D hard-disc navigation and access to a Concierge service that'll connect you through to help with every aspect of your journey. This can connect into a 12.3-inch digital cockpit display. There's now an optional wireless charger and an 'Energizing' comfort control system that links various interior functions to create a series of relaxing themes. Plus there are now two optional audio upgrade choices - a 9-speaker 225-watt set-up and the top Burmester surround sound system. Safety-wise, 'Active Brake Assist' autonomous braking is standard. And there's an optional 'Driving Assistance' package that delivers the 'Active Distance Assist DISTRONIC' system enabling 'level 2' autonomous driving capability. The new 1.5-litre EQ Boost petrol engine fitted to the base C200 enables a useful improvement in efficiency to be possible, so don't automatically opt for a diesel this time round. It features a clever starter/alternator that during deceleration recuperates kinetic energy and charges the battery. For auto models, there's also a gliding mode that operates at cruising speeds, switching the engine off, before seamlessly re-starting it when you brush your foot against the throttle. And a 'recuperative brake with intelligent engine stop' function which also works when the vehicle is coasting. Mercedes says that internal friction is much reduced with this new four cylinder unit. 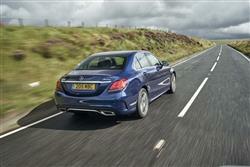 It manages 53.3mpg on the combined cycle in a 2WD saloon model on standard wheels, while emitting 123g/km of CO2. 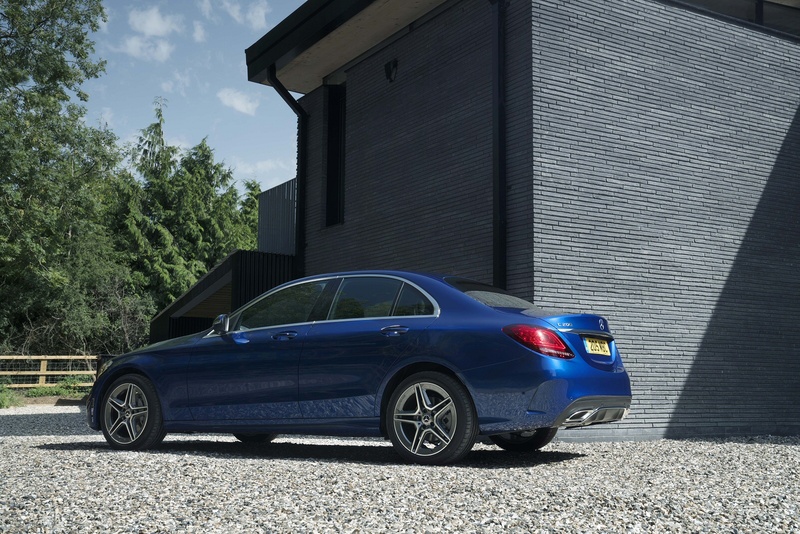 As for the new 2.0-litre diesel engine fitted to the C220d, well it performs to the latest super-stringent Euro 6d-TEMP standard and uses a particularly efficient 'step recess' combustion process - named after the shape of the combustion case in the piston. Internal friction is also reduced here - by around 25% - and the engine's more compact, leading to significant efficiency benefits. 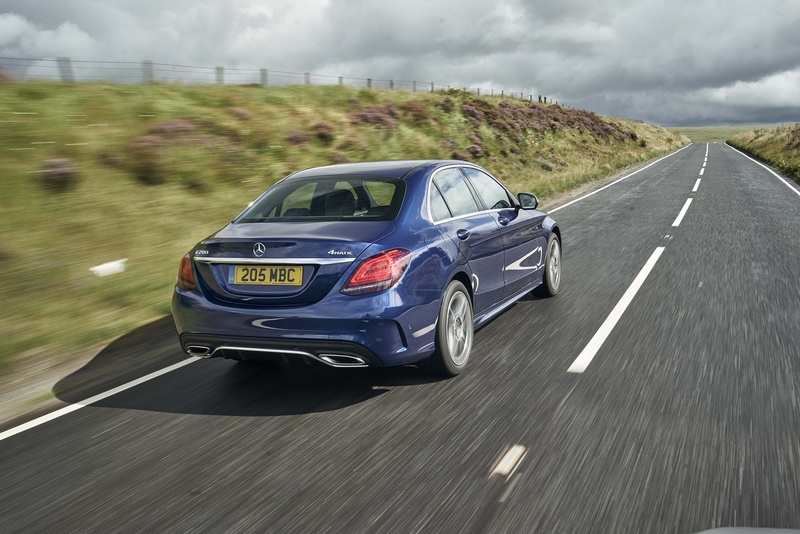 A C220d saloon 2WD model on standard wheels manages up to 61.4mpg on the combined cycle and CO2 emissions of 117g/km. What else might potential C-Class buyers need to know? Well maintenance costs will be kept down thanks to an ASSYST Plus service indicator on the dash that'll calculates precisely when a dealer visit might be needed. And residual values will be as high if not higher than anything else in the class. If you�re looking for a new Mercedes-Benz C-Class C300d 4Matic AMG Line Premium Plus 4dr 9G-Tronic Diesel Saloon for sale, you�ve come to the right place. At Bristol Street Motors we don�t just have the best Mercedes-Benz C-Class C300d 4Matic AMG Line Premium Plus 4dr 9G-Tronic Diesel Saloon deals, we also offer friendly advice and help with all your enquiries to ensure your buying experience is a happy experience.